Henri-Edmond Cross | Stoppenbach & Delestre Ltd.
Henri-Edmond Cross was an important Neo-Impressionist artist, who had a significant role in the liberation of colour and the rendering of light in the 20th-century avant-garde movements. Born in Douai, Henri-Edmond Cross started his art studies in 1878 at the School of Drawings and Architecture of Lille. In 1884, he co-founded the “Société des Artistes Indépendants”, where he met with fellow Neo-Impressionist artists including Georges Seurat, and Paul Signac. Nevertheless, his technique was still influenced by the realist painter Bonvin, and it is not until 1891, that he adopted the pointillist technique. 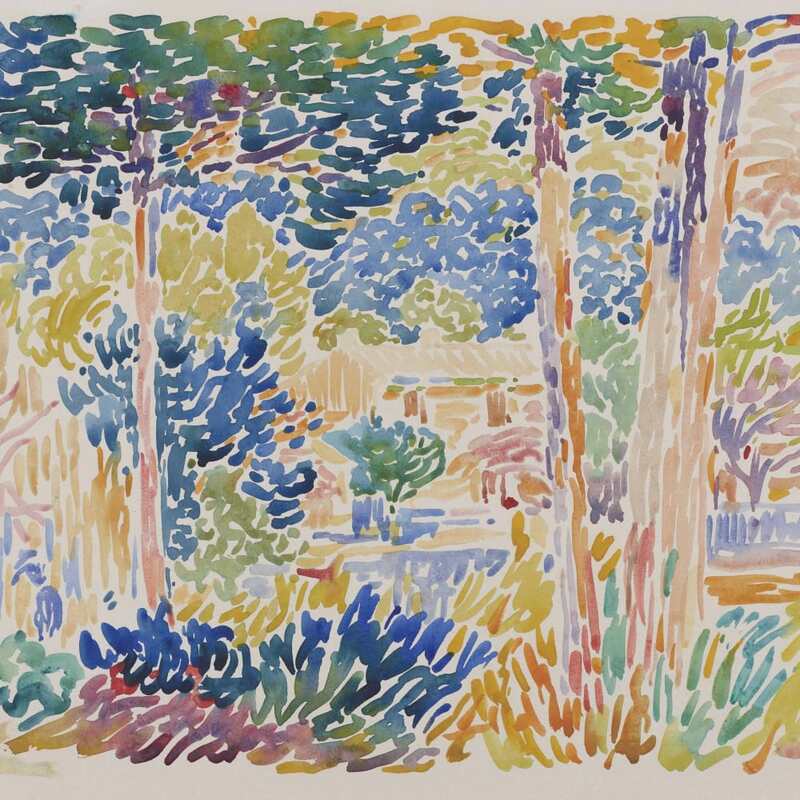 Suffering from rheumatism, the artist moved to the South of France, where through the influence of Mediterranean weather, his approach to light and colours would change. In the company of Signac, he lightened his palette, and both artists would adopt broader brushstrokes balanced with bold colours. 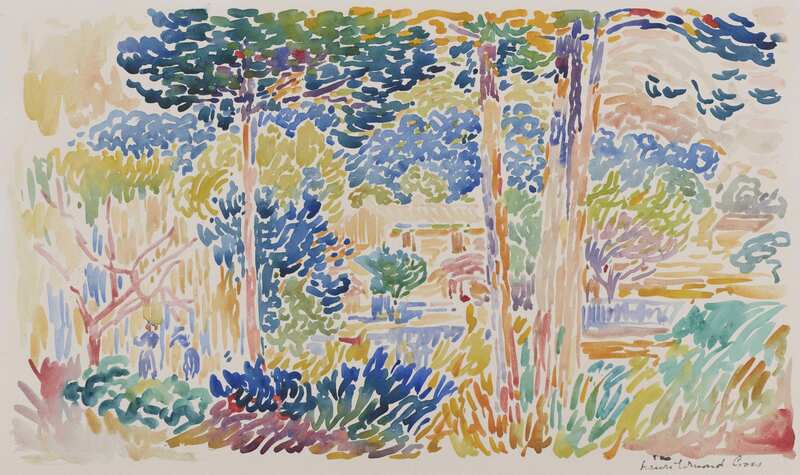 Harmonious and subtle, Henri-Edmond Cross’s work displays a riveting perception of nature’s intimacy infused with his lyrical perception of the world, which will further influence the upcoming Fauve artists such as Henri Matisse, and André Derain. His works are included in numerous collections worldwide such as Art Institute of Chicago, Chicago ; Brooklyn Museum, New York ; Kunstmuseum Basel, Basel ; Musée d’Orsay, Paris.